Alliance Rationales & Roadblocks: A U.S. - Canada Space Study. Credit: The Aerospace Corporation. The paper, Alliance Rationales & Roadblocks: A U.S. – Canada Space Study, identified five rationales for alliances and partnerships, five barriers to partnerships, lesson learned from the U.S. – Canada security space partnership, and did a case study on the U.S. – Canadian Security space partnership. One need not go farther than the 2018 U.S. Department of Defense (DoD) National Defense Strategy (NDS) to understand the value of alliances to the United States. Within, it states, “our network of alliances and partnerships are the backbone of global security.”1 Further, the 2017 DoD International Space Cooperation Strategy provides direction on space collabora- tion with allies because “[c]ooperation cannot be left as an afterthought in planning U.S. national security space activities but must instead be integrated from the beginning into every aspect of space planning.”2 Indeed, combined operations provide all partners with an asym- metric advantage. But why are these alliances and partnerships so important? And if alliances and partnerships are so important, why is it often difficult to reach their full potential? What experiences can we learn from as we endeavor to expand international security space collabo- ration? This paper seeks to answer these questions by reviewing the rationales for partnering in national security space, identifying the most common barriers associated with collaborat- ing with allies in the space domain, and assessing what lessons can be learned for overcoming these barriers. Canada has had a lengthy and diverse national security space relationship with the United States and serves as an ideal case study to assess the rationales for partnering, the barriers to maximizing the partnership, and identifying key lessons in driving forward. The taxonomy developed in this paper for understanding alliances and partnerships can be extended to other nations, helping to understand, grow, and enhance partnerships in the space domain. 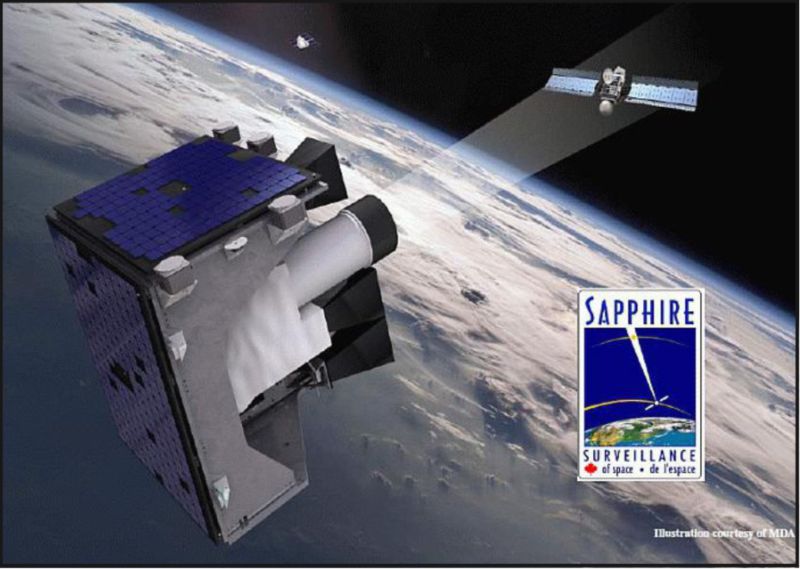 The Sapphire satellite is a contributing sensor to the U.S. SSN, supporting resiliency of the network, and providing additional capability that is used to maintain space situational awareness as part of the U.S.-Canada defense space partnership. Credit: MDA. They are: Alliances need active leaders to lower barriers; alliances need to be formalized; and allied systems and capabilities need to be considered from the start of a program. They then provide examples of each. A Canadian officer serving on the CSpOC ops floor converses with another Allied colleague. Embedded personnel and exchange officers enable closer collaboration, help align skillsets and missions, displaying leadership and providing greater resiliency in space operations. Image credit: Joint Functional Component Command for Space (JFCC Space). 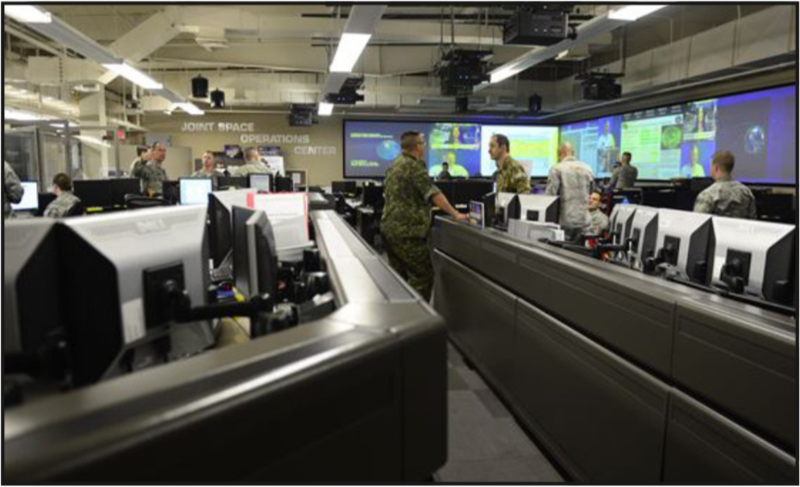 When discussing Geospatial Intelligence (GEOINT) as part of the case study, the paper focuses in large part on Canada’s history in developing and using synthetic aperture radar (SAR). Of note, the report states; However, it was the launch of Radarsat-2 in 2007 that revealed defense and security benefits in particular for maritime domain awareness. Being commercially operated from Canada, Radarsat-2 images are more easily shared among partners and allies than some of the more highly classified U.S. intelligence imagery. That’s an interesting statement in the context that the Canadian government will not allow the commercial sale of the RADARSAT Constellation Mission (RCM) imagery when it becomes available. This leads to the question, will RCM imagery be easily shared among its security partners? The paper is a must read for space policy wonks. Its conclusions include the following: Over the past 60 years, Canada has demonstrated a willingness to partner with the United States in space, with both nations benefitting from that relationship. Looking to the future, the U.S.-Canada partnership in national security space holds great promise and Department of Defense efforts to build allied space partnerships are on the right track. Still, improvements can be made, particularly in addressing regulatory and organizational challenges so that Canadians can work more effectively with and within U.S space units.